Free Shipping Included! KingSpec SSD 64GB Portable SSD Type C USB3.1 Gen1 External SSD (Z3-64) 3D MLC NAND by KingSpec at Learning Delphi. MPN: Z3-64. Hurry! Limited time offer. Offer valid only while supplies last. 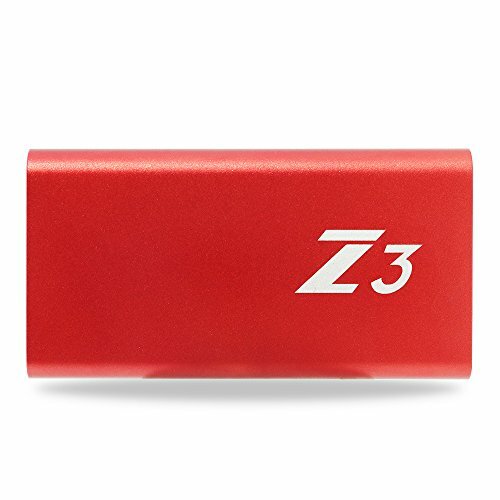 Z3 Series is a portable solid state drive which has excellent performance and high reliability. Interface: new USB3.1 Type-C, which supports positive and negative side plug in recognition. The data transfer speed achieves USB3.1 Gen1(5Gbps). Shock Resistant & Secure Encryption .Compatible with most Windows and Mac computers via USB port. If you have any questions about this product by KingSpec, contact us by completing and submitting the form below. If you are looking for a specif part number, please include it with your message.